At the beginning of this year we decided that we wanted to plan some fun trips throughout the year so that we could spend time together as a family making memories. Most of the trips that we have taken and that we have planned require that we get in the car and drive for anywhere from 2 to 18 hours! Our first trip of the year was unexpected, as it was to attend my husband’s grandma’s funeral. It was a long drive across three states, and since it was pretty sudden, we weren’t able to plan it as well as we would have liked. That resulted in us spending quite a bit of money on food and gas along the way. For the trips that we are able to prepare for in advance, we always try to save money as much as we can. One way that we do that is by packing as many meals as we can that we can eat while we are driving instead of getting fast food for every meal. 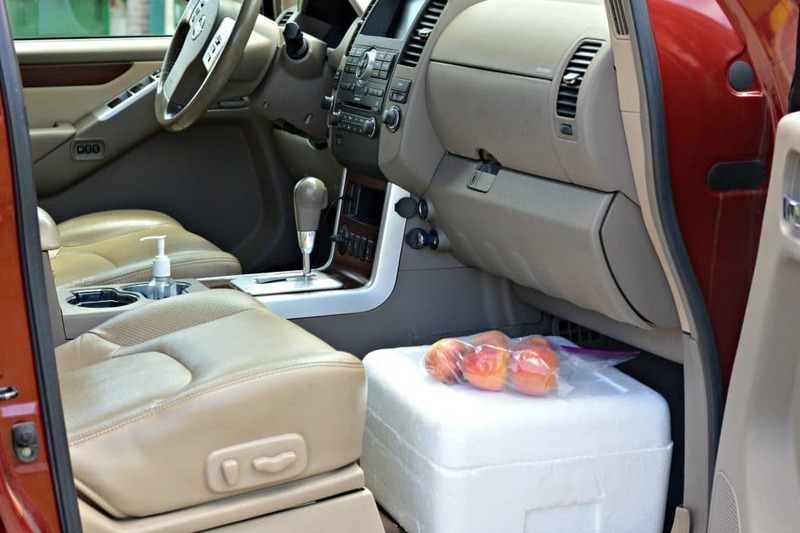 I always like to put the food in a small cooler like the one in this picture that I can keep with me in the front seat for easy access as we drive. 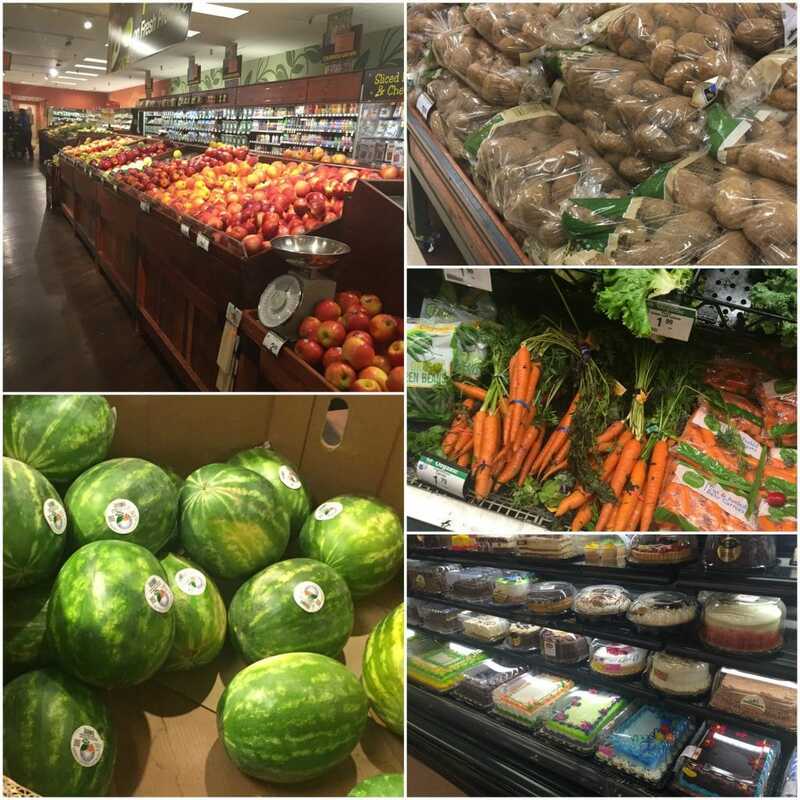 Another way that we try to save money on these trips is to buy all of our groceries and ingredients for those meals at King Soopers (which is the Colorado Kroger affiliate). We love shopping at King Soopers for many reasons, including its great loyalty program. Not only is there a great selection of meat, dairy, produce, bakery items and more, but for every purchase that you make using your loyalty card, you also get fuel points that you can redeem at the pump! You get points for buying groceries, gift cards, and even prescriptions, so there is no reason not to sign up and start saving now. We have been able to save so much money on gas this year, because we almost always have at least $0.20 to $0.60 cents off when we go to get gas. We usually try to save these up as much as we can so that we can use them on our road trips. It’s easy to earn points with the Fuel Program just by buying groceries! For every 1$ spent on groceries you will earn 1 fuel point. If you purchase gift cards, prepaid phone cards, or airtime purchases, you’ll get double the points (i.e. 25$ spent = 50 points). When you pick up your prescriptions you will earn 50 fuel points for each non-federally funded prescription. And, for every federally funded prescription you will earn 1 point for every $1 of your out-of-pocket costs for new, transferred, and refilled prescriptions. To track your points is easy – just use the “My Account” feature on the KingSoopers.com and you can keep a close eye on those points as on the King Soopers app, they accumulate with each purchase! Fuel points earned in a given month are available for use through the end of the following calendar month. So, how do you redeem these points? To redeem fuel points you can choose how much of your discount you want to use (10¢, 20¢, 30¢ … up to $1 OFF) per gallon! For every 100 points you earn, you will be able to redeem 10c per gallon all the way up to $1.00 per gallon (when you redeem 1000 fuel points). What’s great is that not only can you redeem fuel points at King Soopers Fuel Centers but also at most Shell stations too! So you have a few great options to redeem the points! When filling up at a King Soopers Fuel Center, you’ll always be offered the biggest discount available, based on each month’s fuel point totals available in your account. You can find out more information on the fuel program here. When I was growing up in Mexico, we didn’t take too many long road trips, but when my mom would always make sure that we had something healthy and filling to take along for the ride. Sometimes that was fresh mangoes or other fruits, and other times it was one of my favorite salads. In Spanish we call it “ensalada fria” which translated directly means “cold salad.” Now I can see how that doesn’t sound that appetizing, so let me explain it. 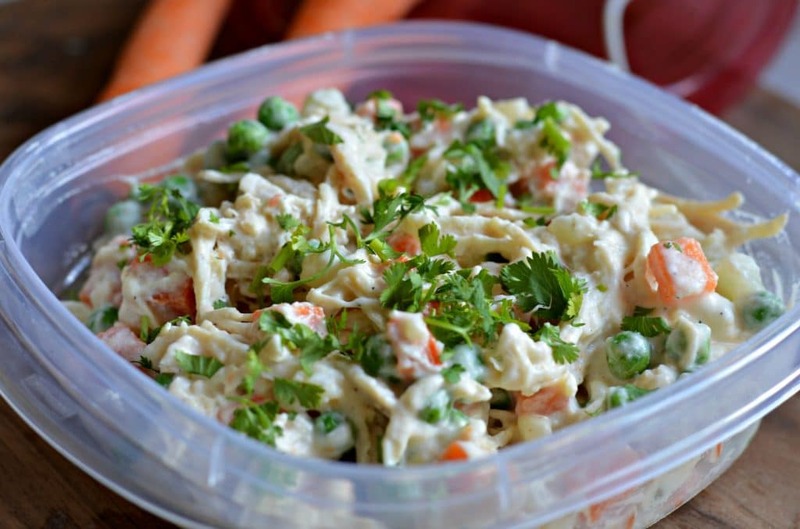 Ensalada Fria is basically a really simple, and really delicious chicken salad. It is called “cold salad” because it is served cold with crackers or tortillas. 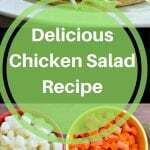 It is very easy to make and you can easily store it in a plastic container or cooler to take out and eat while you are on the road. 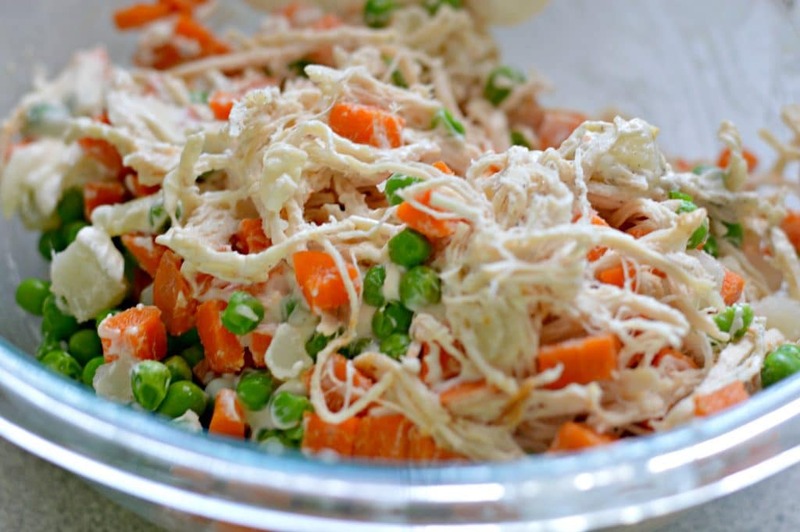 This chicken salad consists of shredded chicken, boiled carrots and potatoes, mayonnaise and various seasonings. Although it may be simple to make, you will be surprised how delicious and addicting it is! Our biggest trip of the summer is coming up in about two weeks as we are going to travel across three states again to go to a family reunion. 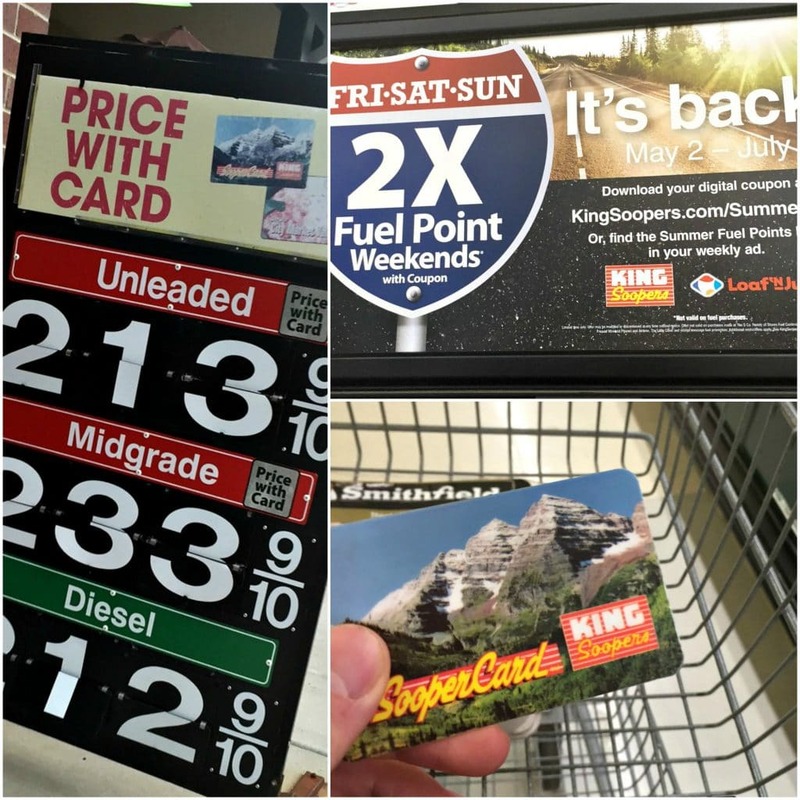 We will definitely be spending quite a bit on gas to drive such a long distance, but we know that we will be able to save quite a bit on a few of our fill-ups because we have been saving up our fuel points from King Soopers. 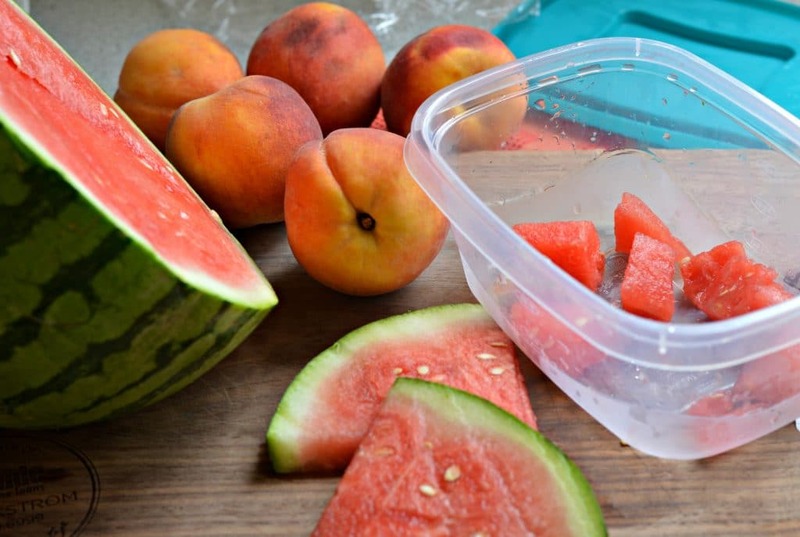 We are also going to be taking the chicken salad recipe included below, as well fresh fruits like these peaches and watermelon to eat while we are on the road. We are so excited for our final trip of the summer, and knowing that we are saving as much money as possible with the help of King Soopers will make it even better! How do you like to save money on your road trips? 1 Chicken Breast Cooked and Shredded. 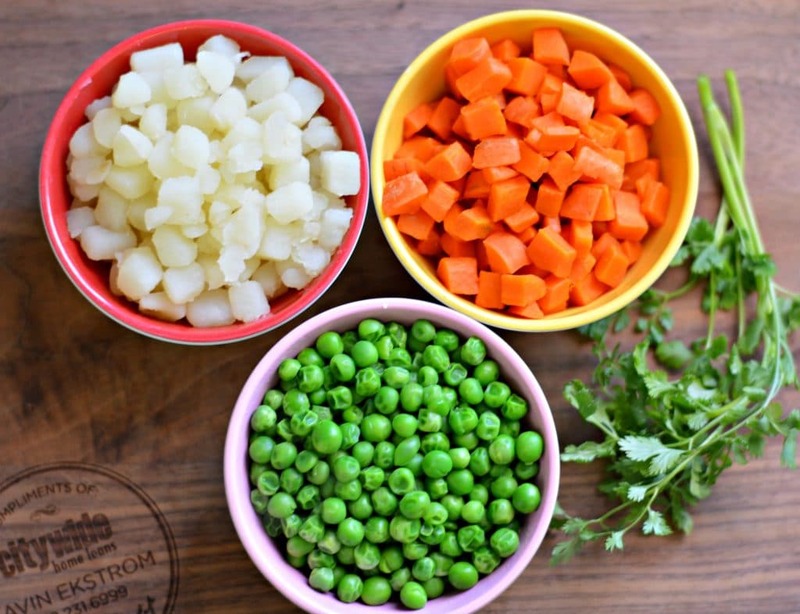 Combine all of the ingredients in a large bowl and mix until everything is well combined. 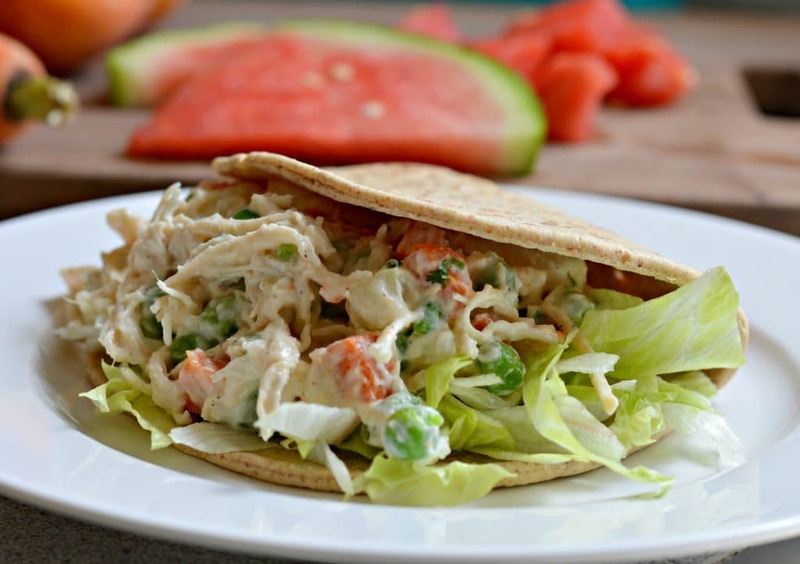 Serve with crackers, pita bread, or tortillas.